KTR Corporation is a wholly owned and operated subsidiary of KTR Kupplungstechnik, GmbH with over 40 subsidiary companies in 21 countries. 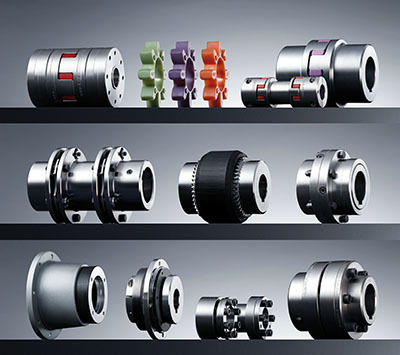 Our extensive product line began over 50 years ago with the BoWex curved tooth gear coupling and the ROTEX torsionally flexible jaw coupling. Our technological strength and innovative problem-solving concepts have earned us several prestigious design awards. KTR utilizes 3D CAD systems, finite element analysis and our ability to simulate actual field conditions within our own R & D facility. These tools are employed during the design of new products producing custom solutions geared to our customersâ€™ individual specifications. Manufacturing is performed on state-of-the-art CNC machinery to ensure the highest grade components. We manufacture to AGMA and DIN standards to meet the exacting demands of a global marketplace. Our quality control system is overseen by a dedicated staff that takes pride in providing customers with excellent service, consistent products and exceptional value. KTR Corporation is recognized as a highly competent power transmission partner. Our objective is to manufacture products of the highest quality, provide superior service, product availability and expert technical assistance at the lowest possible cost to our customers.